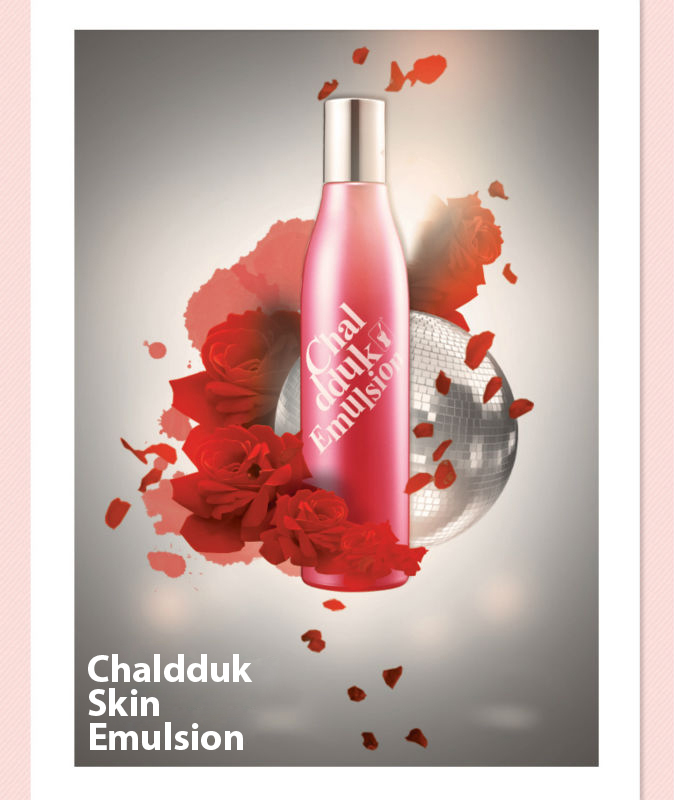 Chaldduk Skin Emulsion (150 ml) is a premium skin lightening and moisturizing emulsion (lotion) that is approved by KFDA. 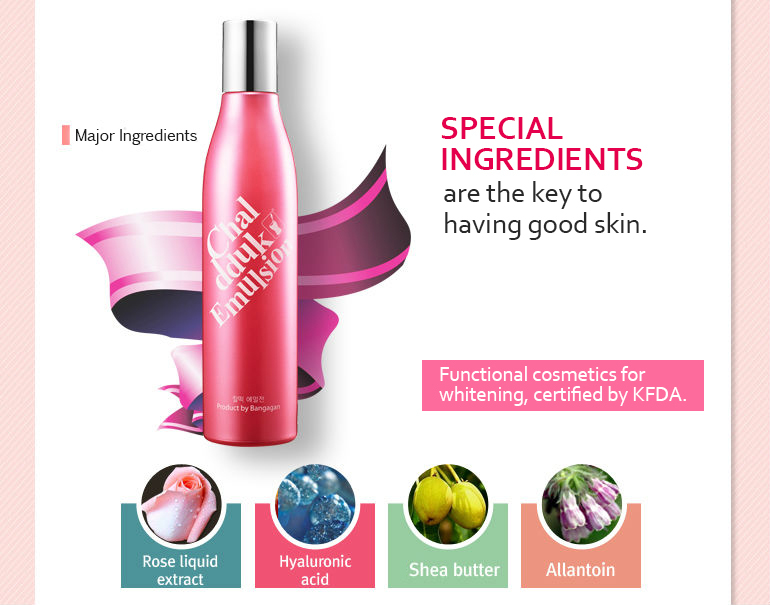 It is enriched with rose liquid extract, hyaluronic acid, shea butter and allantoin for skin moisturization and dark skin pigmentation removal. 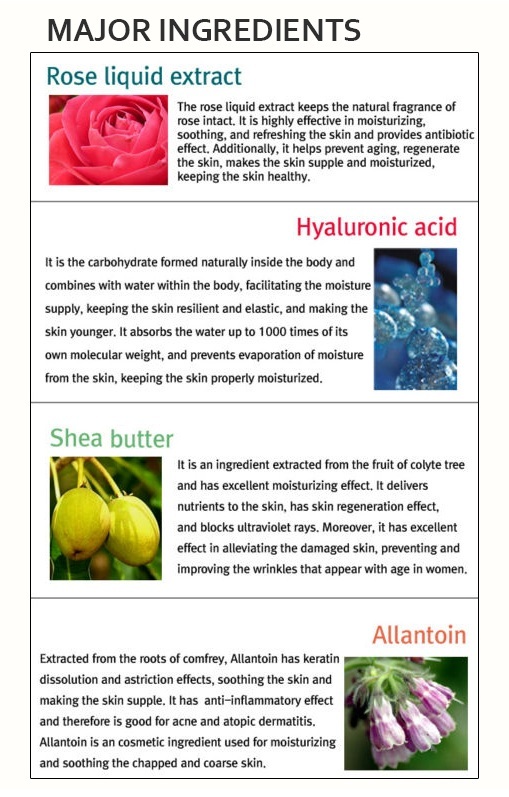 The combination of these ingredients not only make the skin soft and supple. It also gets rid of red rashes and inhibits the excessive production of melanin (which causes the formation of unsightly pigmentation of skin) to achieve that flawless skin you've always wanted. Chaldduk Skin Emulsion has a mild fragrance. It contains natural plant extracts and not a single drop of purified water for a more effective formula. 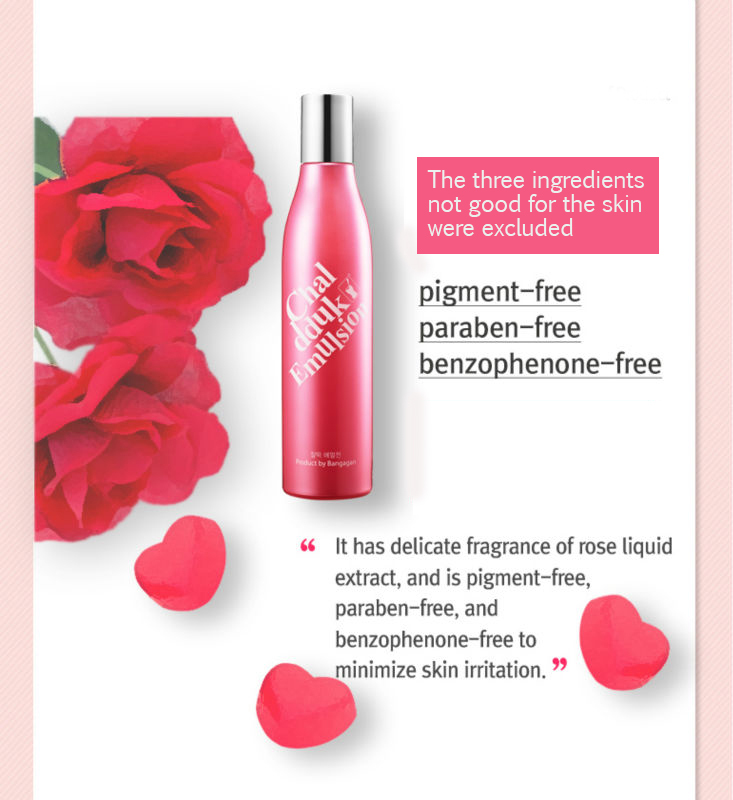 It is pigment-free, paraben-free and benzophenone-free which makes it very safe to use. 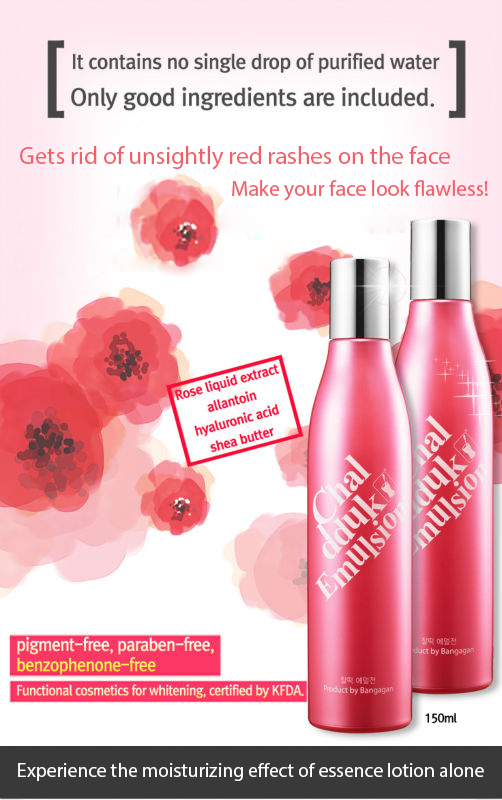 It is perfect for hyper-pigmented skin, localized blemishes and dull skin with uneven skin tone. Use regularly after cleansing skin. Apply all over face and neck or area to be lightened. It can be used twice a day, morning and evening, for at least four weeks for visible and long lasting results.